Information received by Ukpakareports.com has it that kidnappers has kidnapped the father of the former governor of central bank of Nigeria in the person of Prof. Charles Soludo. Another to the information, Soludo's father was picked up in the evening of Tuesday around 10pm Nigerian time. Ukpakareports.com was able to confirm through Prof. Charles Soludo that his father had in deed been kidnapped. Soludo was scheduled to appear in court against an Exparte Order brought by agents of Chris Uba against his [Soludo] candidature in Anambra gubernatorial race. Also, INEC and the Stakeholders in PDP are schedule to meet tomorrow to iron out matters concerning the gubernatorial race. And, it is believed that the kidnapping of his father [this evening] was carried out tactically by a group of blood thirsty political gangsters in PDP with the aim of frustrating his desire to join the political fray in Anambra. 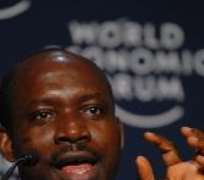 Sources indicate that the recent kidnapping of Soludo's father may have been the second time he was kidnapped. And following the first kidnapping, Prof. Charles Soludo was said to have pleaded with his father to relocate to Abuja but the father refused citing that he was not used to the Abuja city-life. He chose to remain at his home in Isuofia. As of this publication, the kidnappers have yet to make their demands known.